The 17 piece multi-purpose tool is the magnet driver DDN by micaton. It is interchangeable bit combinations work for quick drilling, driving, and nailing. There is a comfortable magnetic wristband that holds all the pieces user needs. With this, the user does not need to waste time in scrambling to find the perfect piece. The comprehensive toolkit is like an all-in-one toolbox. Whether it is home, DIY projects or worksites, the multi-purpose tool holds up. Its Electronic torque control prevents the stripping of screws. It has a variable of 2-speed gearing that tackles all common drilling and driving functions. 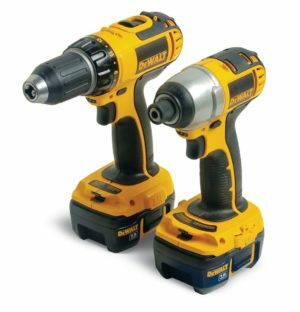 It consists of 2 powerful Max Lithium batteries — part of the 20V Power Share platform of the DIY yard and power tools that share batteries, saving your time and money. The Magnet Driver DDN is one of the most flexible products that can accompany any toolbox. Among the incredible range of design features that add to its value are multiple engagements, a neodymium powerful magnet as well as flexible plastic and ABS resistant plastic materials throughout. The 17-piece set is smartly designed and a really useful addition to anyone’s toolbox.